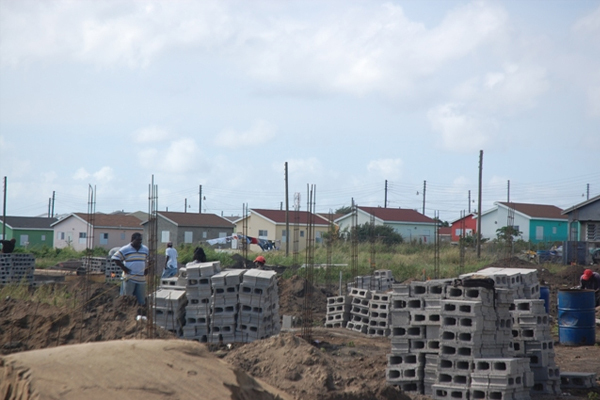 Basseterre, St. Kitts (CUOPM) – Expanded home ownership across the length and breadth of St. Kitts is a leading priority of the governing St. Kitts-Nevis Labour Party administration. Prime Minister the Rt. Hon. Dr. Denzil L. Douglas said the recent launching of Habitat 30, will see the construction of an additional 1,000 homes around St. Kitts is among the unparalleled advances that Labour has brought to the twin-island Federation and these include the right to vote, the lifetime protections of social security, education for all, dramatically expanded land ownership, dramatically expanded home ownership, sweeping health care for all Government employees and the soon to be introduced national health insurance. Dr. Douglas told listeners to his weekly conversation with the people on “Ask the Prime Minister,” that the construction of the 1,000 homes are in addition to the 4,000 homes already built through the National Housing Corporation (NHC), the Development Bank of St. Kitts and Nevis, the Civil Servants Home Mortgage Scheme. “The new homes will be located in every single constituency on this island and Constituency 4 had its very successful Habitat 30 launch at Stonefort about two weeks ago. Constituency 5 will have its Fig Tree launch in approximately two weeks,” Dr. Douglas disclosed. He used the opportunity to invite persons to attend the launch, whether they already have a home or not. “It will be an important opportunity for you to see, up close, the ways in which your Government will be expanding, strengthening, and developing the Constituency in which you live,” Prime Minister Douglas said. “The results are there for all to see. However, there is always another day of work to be done, another family whose dreams we must work to fulfill. And so we continue pushing forward – day after week after month after year, expanding opportunities and enhancing life chances for all,” said Prime Minister Douglas.